Inquiry in Math – CONNECT! Rather the purpose of taking an inquiry approach is to structure learning so that students can tackle problems, generate possible solutions, share and improve each other’s ideas, and demonstrate their understanding in a variety of ways. 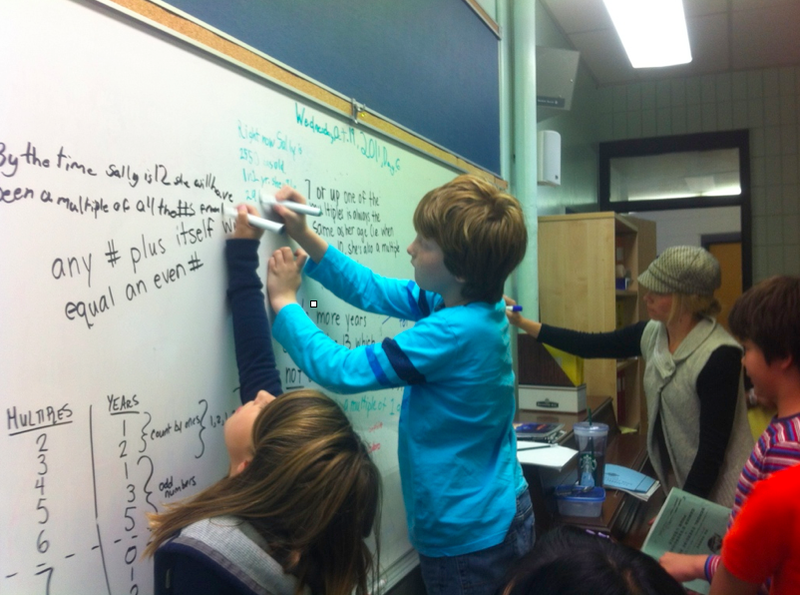 The end goal of inquiry is students developing deep understanding of key ideas and concepts. With that in mind, much of our school’s understanding of inquiry comes from the Galileo Educational Network and their Inquiry rubric. Seen that way, the purpose of strong mathematical inquiry is to get students thinking, acting and working like mathematicians, not just doing math. This movement from students ‘learning math’ to students ‘learning to think like a mathematician’ can be a difficult concept to understand. So they spent hours poking around at a concept that can be easily explained in 5 minutes in a way that everyone understands perfectly the rest of their lives. Stunning that they end up with a class full of grade 4 kids who come in with no understanding of multiples or multiplication – aka grade 2 skills. PS – Sitting around guessing about the definition of a defined term is not something that “real mathematicians” do. Any chance we could see this done in a younger class – kindergarten or early primary/elementary grade? It's much easier to do with older classes but working with younger classes is more difficult because they can't always write what is happening. Hi there – as we are a middle school (grade 4-9), our examples are focused in the middle school. This type of learning is very natural at the primary level: asking questions, using manipulatives to develop understanding and verbally articulating their thinking can be just as powerful as writing. There is also something to be said about the level of engagement these students have while learning a “concept that can be easily explained in 5 minutes.” They will take more from this than simply “a multiple of 1.” Great lesson.